I first heard Nirvana in a minivan. It was a GMC Astro with wood paneling, red cloth interior, and a small mounted TV that didn’t work. My friend Matt was driving. We were helping a family from our church move into a new home. All we had to do was unload the truck. The pay wasn’t much, but we’d get free Jersey Mike’s sandwiches. Matt was seventeen and I was thirteen. Kurt Cobain had died three years before. There was a lull in the conversation when a pained voice sang through the car speakers, “Who needs action when you got words?” I laughed at the sentiment, having recently discovered sarcasm. I had heard of Nirvana before. The cool kids at school who smuggled vodka in film canisters listened to Nirvana. The guy in my English class who wanted to get me high drew their smiley face logo on notebooks. They were a band for the bad people who liked to do bad things. But there I was enjoying it. Did this make me… bad? It was too late. I was hooked. Months later my little sister found Matt’s copy of In Utero in my bedroom. The cover artwork alone was enough to make her run screaming to my mother: a healthbook-ready anatomy of an angel–complete with twisting intestines, muscle tissue, and breast fat. I was sat down and told that I shouldn’t listen to such music. Was I feeling angry or depressed? Maybe I should return the CD and find something less abrasive for my mind. I did return the album, but not before dubbing a secret cassette copy. It was my first act of conscious rebellion. Freshman year of high school I stood before my public speaking class and delivered a “Persuasive Speech” regarding the topic of Cobain’s homicide (not a typo). I did my research online. A year after moving out to California I bought an acoustic guitar and taught myself some chords. I sang through my nose with gravelly mumbles and beat out loud monotonous melodies. I turned 27 and thought about all those legendary rock stars that never lived to see 28. I wondered if I would make the cut. Soon enough I was 30 and I felt sorry for Kurt Cobain. He was no longer this misunderstood and tortured artist, fighting against the record labels and media machine–instead he became a lonely young guy who didn’t know how to battle his demons. And then I realized that I was outgrowing my angst. Twenty years have passed since Cobain ended his life. While I admit that it is borderline morbid to commemorate his death, it can be said that Nirvana—and the entire grunge movement—was epitomized in his suicide. All of that cynicism and frustrated sincerity, the detached irony and search for truth, bolstered with noise and bruised hearts: we are told that Kurt Cobain died for such as these. He has become the Gen X Jesus. Surely this would be his worst nightmare. My own personal irony has to do with Nirvana’s name and the religious term that inspired it. Granted, the name was likely chosen because of how cool it sounded to teenaged Cobain and bassist Krist Novoselic. 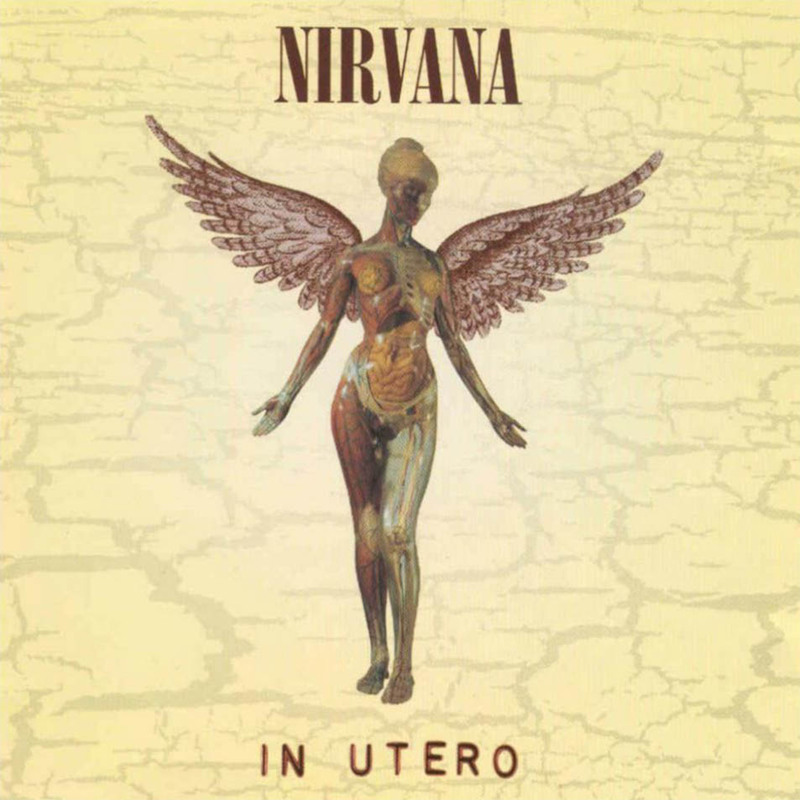 Yet the fate of the front man for a band called Nirvana stands in stark contrast to the Eastern concept of nirvana as realized by Guatama Buddha. Buddhist nirvana, by my own limited understanding, is liberation from suffering through the mindful letting go of desires and delusions. This is quite the juxtaposition to Nirvana-the-band’s trademark anguish. I am no spiritual scholar or qualified judge to Cobain’s life, but what I offer the reader is a thought experiment. What if, when Kurt Cobain entered that greenhouse twenty years ago, he instead sat on the ground and let himself be still? What if he didn’t unpack his heroin toolbox and rather allowed himself to feel each present moment? Could he hear the air passing through the room, through his own lungs? Would he sense the coolness of the floor below him or the moisture in the room? What if he found peace? What if he touched nirvana? So what can we do with Cobain’s legacy these two decades after his death? We can’t deny his indelible print on the popular consciousness. Yet we must refrain from inflating it. As for myself, I take two things from reflecting on his life: one, an appreciation for his exceptional catalogue of music vibrant with earnest energy; and two, a charge to look at my own life as honestly and gratefully as possible. If you have a moment and are willing to do the same, here’s a good place to start.